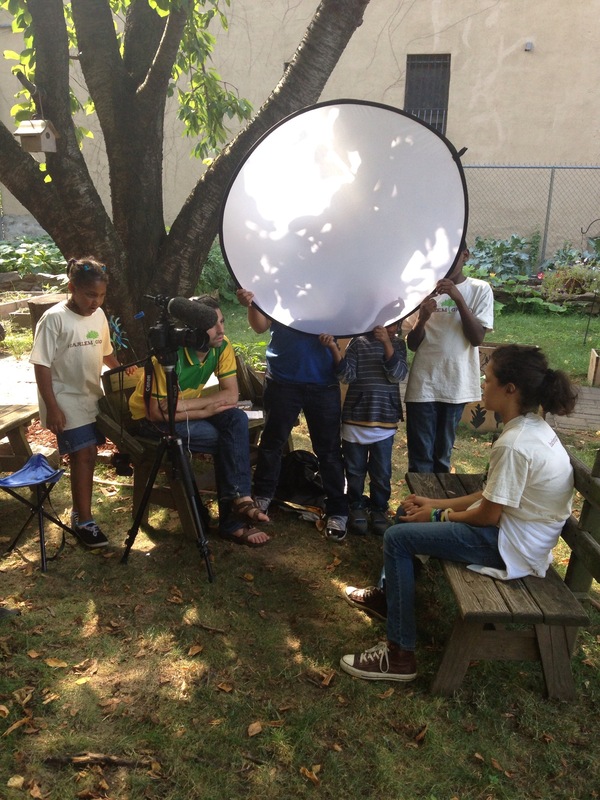 We have been filming at Harlem Grown’s community garden on 134th Street in Harlem for the past week. We’ve been able to watch the kids, volunteers and staff plant, water and harvest herbs, fruits, and vegetables in their beautiful garden. We have been enjoying all the locally-grown treats that they’ve let us sample. And, luckily for us, the kids enjoy being on our film crew, too!